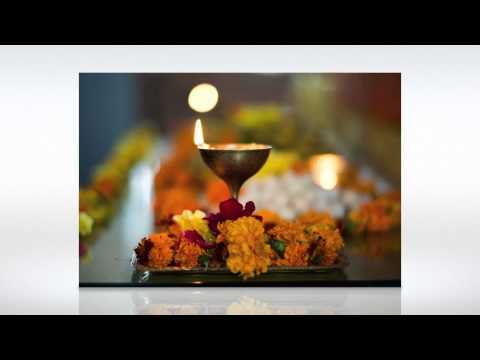 In 1967 I began the Transcendental Meditation Program (known as TM) and in 1969 I went to India for six months to study with Maharishi Mahesh Yogi to become a TM teacher. I was with the TM organization 24/7 for 20 years. During that time much of my activities involved setting up TM centers around the country as well as teaching TM and offering weekend workshops and administering month long courses. I taught thousands of people how to meditate. Outside of the practical aspects of the organization my focus was the development of consciousness. This involved practicing TM twice daily, diving into the experiences of TM while teaching others how to meditate and longer meditations during the weekend workshops and the summer month long courses. Over those years with all the meditation there developed a profound direct personal experience of consciousness. I also participated in a series of courses for TM teachers in Switzerland where I meditated 8-10 hours a day for two years! By that time the experience of consciousness as separate from my other experiences of life was well established. During the courses in Switzerland the focus was on the development of perception of the most refined areas of the mind; the junction between consciousness and the emergence of thought. The Sama Veda was part of my every day experience during that time where I began to see the organizing structure of our universe. In the 1980’s I went to live with my mother for the last two years of her life. She lived in Berkeley. I visited the University of California Berkeley Library to research their books on the Vedas. They have one of the best collections in the entire world. I spent 8 hours a day for 6 months reading every one of the books they had in English. I had no intentions other than to read all their books, but what I discovered was at the end I had the experience of what is called in the Vedic tradition, Brahman. Not only could I identify consciousness and experience it as separate from all my other experiences of life, but now I found I could see the unboundedness of consciousness spontaneously in all my other experiences of life, without any of those activities overshadowing consciousness. To this day that experience has remained with me. 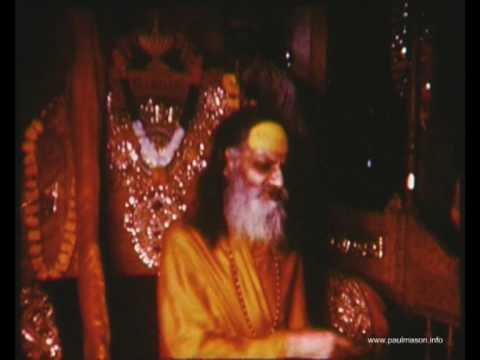 This is a video from the 1950’s of Swami Brahmanada Saraswati, Jagadguru, Bhagwan Shankaracharya of Jyotir Math, who was the teacher of Maharishi Mahesh Yogi and who was an inspiration in my process of awakening. In the mid 1990’s I met a group of Americans who were involved in Afro-Brazilian Spiritual Traditions. I was fascinated by the tradition and found it to be entirely different in approach to what I had experienced with Transcendental Meditation. With TM, through silence, one experiences consciousness. In the Brazilian traditions, through the drums and song and dance one enters into an altered state; through noise and vibration! Through the altered state I came into contact with Spiritual Beings that exist in the spiritual dimensions of the universe. With all the years of meditation I was able to distinguish thought as separate from consciousness. I think that served me well in being able to identify the Spiritual Beings. Their presence and their thoughts as they came into my mind were seen as separate from my thoughts. Their thoughts had their personality within the thoughts. From there began my journey with several Spiritual Beings who I continue to work with today, primarily Hayehwatha and Vovó Anamalia. Each year, for twelve years, I went to Brazil to study with Spiritual Teachers within the Afro-Brazilian traditions of Umbanda and Candomblé. I also sponsored some of those teachers to come to the United States to present their knowledge. With the Afro-Brazilian spiritual traditions I was also introduced to the Orixás. The Orixás are energy formations, or vibrations that form the fundamental structures of our universe. These energy formations can also be found on earth as well as within the human physiology. They are understood and experienced through spiritual awakening. What I gained with the Brazilian spiritual tradition that was not available to me with TM was the direct personal experience of the universe within consciousness. For me, consciousness opened to the universe and I began to see different spiritual planes, different heavens and the energetic formations of the universe itself, in addition to seeing Spiritual Beings representing different levels of evolution. I think because of my understanding of the concept of Enlightenment as expressed in the Vedas, I stayed away from the Spiritual Beings of a lesser level of development and chose to work only with the highest level of beings that were presented to me. I have not been disappointed. Now I can see into the details of our universe at a fundamental level. I choose to work with Hayehwatha and Vovó Anamalia and let them guide people to see the universe. I am amazed by their wisdom and inspired by their intent to raise the evolution of human life upon the earth.